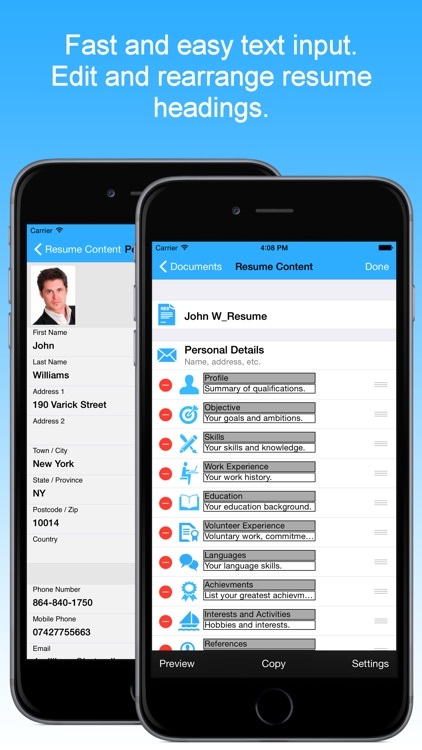 With Ultimate Resume, you can quickly and easily create complete resumes and cover letters. 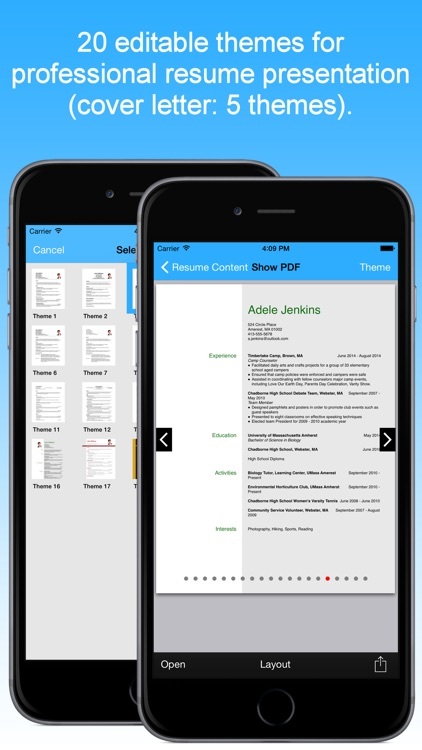 This app creates PDF files that can be emailed, printed or stored in iCloud. 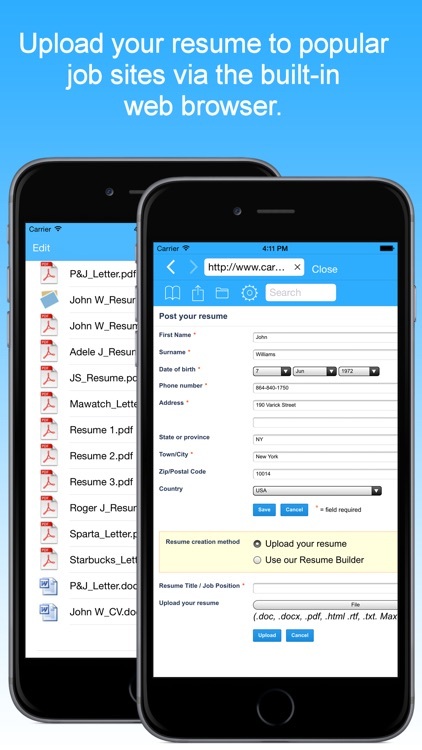 Resume information can easily be entered via forms. Help guides and tips on writing resumes and cover letters are also included. • Create professional PDF presentations from different themes (resume: 20 themes, cover letter: 5 themes). • Store your files in iCloud Drive and access them anytime on all your devices. • Upload files to popular web sites via the built-in web browser. • List files with dates or as thumbnails. • Change thumbnail size with slider control. • Show resume themes with horizontal scrolling. • Change background, font, text size, text color etc. • Covert files via web sites (PDF to word format). • Use tab space and different characters to create good looking bullet lists. • Files can be sent by email or printed. 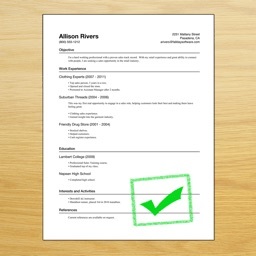 • Resume headings can be arranged in any order, deleted or renamed. 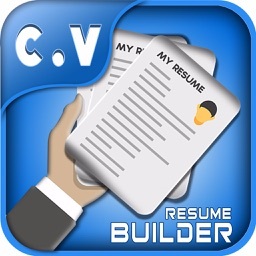 • Add new resume headings. • Photos can be added from album or camera. • Help guides and tips on writing resumes and cover letters. 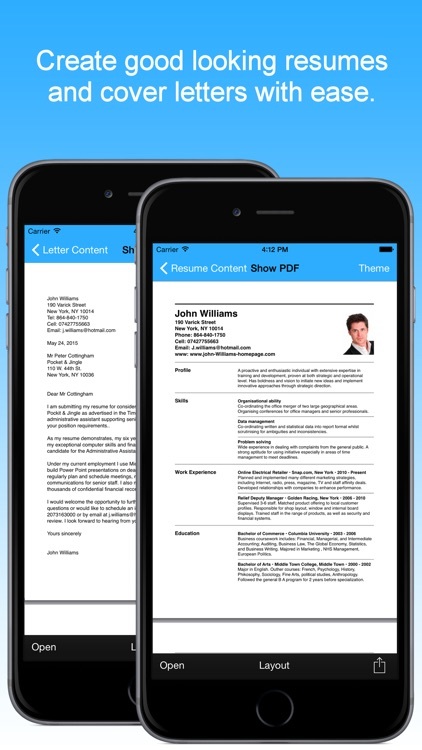 • Different samples show how professional looking resumes and cover letters can be made. • Can create both functional and chronological resumes. • Web browser can upload files, save them locally or in the iCloud. • The browser can make bookmarks, save page files and show all usable files on your iPhone, iPad or iCloud Drive. • Upload files with a special technique or with iOS 9 type upload from iCloud. • The web browser has on iPad a form filling feature that uses information from resumes and cover letters to simplify web form filling. 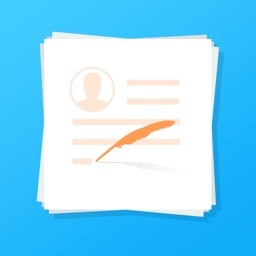 • Form Filler makes suggestions of of words and sentences. Suggestions come from your resume data files, a custom database and the Google search engine. • The database in the web browser stores words and sentences from previously submitted forms. Make your own database with often used words and sentences. • Links to different job sites and sites for file conversion (PDF to word etc.). • Choose between basic resume (personal details, objective, qualifications, work experience, education) and extended resume (personal details, qualifications, objective, skills, work experience, education, volunteer experience, languages, achievments, interests and activities, references). • Copy, delete or rename files. • In each theme, you can change font, text size, text color, heading size, heading color, background color and line color. • Open documents in other applications installed. 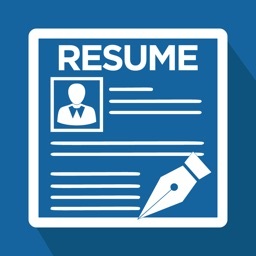 • Resumes can be emailed separately or together with letters. • Letters can be emailed as files or as text in an email messages. 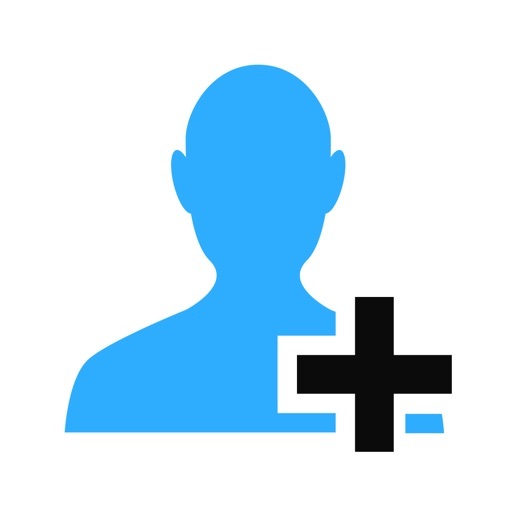 • Transfer files via iTunes file sharing. • Show optional title text for resume. 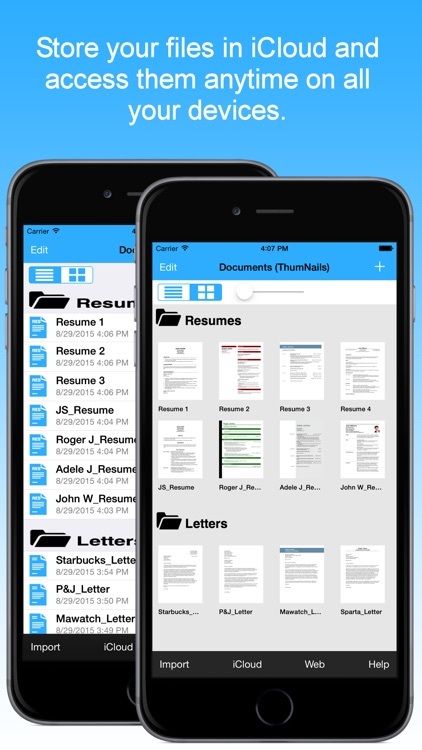 • Resume dates can be shown in 10 different formats. • Extended personal details in resume (date of birth, website, marital status, nationality). • Abbreviations can be shown before phone number, mobile phone number, email address, date of birth, website, marital status, nationality. • In the cover letter you enter sender, recipient, body text and the optional subject, location and date. 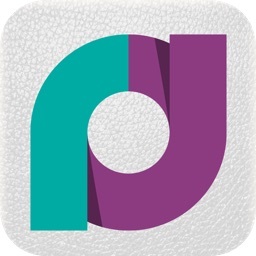 • The app comes with detailed instructions and help guides. Tips on how to write resumes and cover letters are also included. • Three different samples of resumes and cover letters shows examples of professional looking resumes. • Copy and paste text between files or other apps.